Winmate's rugged handheld device automates warehouse efficiencies enabling you to increase material handling, reduce costs associated with handling delays, and streamline the supply chain. 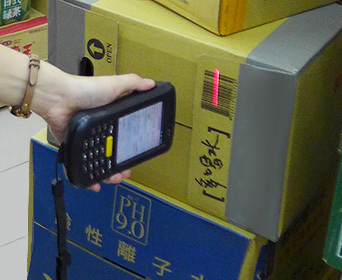 With a built-in barcode scanner or RFID reader, the device allows you to track incoming and outgoing shipments, while storing and monitoring inventory information in the warehouse in real time. 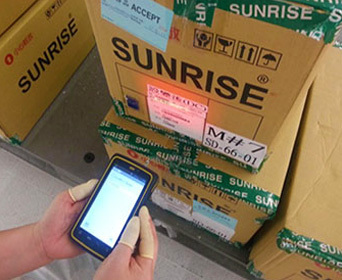 This allows warehouse staff to check a shipment’s location status and locate inventory records instantaneously. Winmate's lightweight, yet durable handheld devices feature a sunlight-readable 3.5" (C350M2) and 4.3" (E430M2) multi-touch screen, powerful Android computing and multiple ports for expansion. The device also offers robust data collection with integrated 1D and 2D barcode scanners, dual cameras (E40M2), and optional RFID readers. Advanced communications options such as WLAN, GPS, Bluetooth and optional 3G enable uninterrupted communications and connectivity. The handheld’s rugged construction also protects it from shock, dust, liquid, vibration and extreme temperatures. Winmate's handheld devices offer an enterprise-ready solution for streamlining efficiencies in warehouse operations.